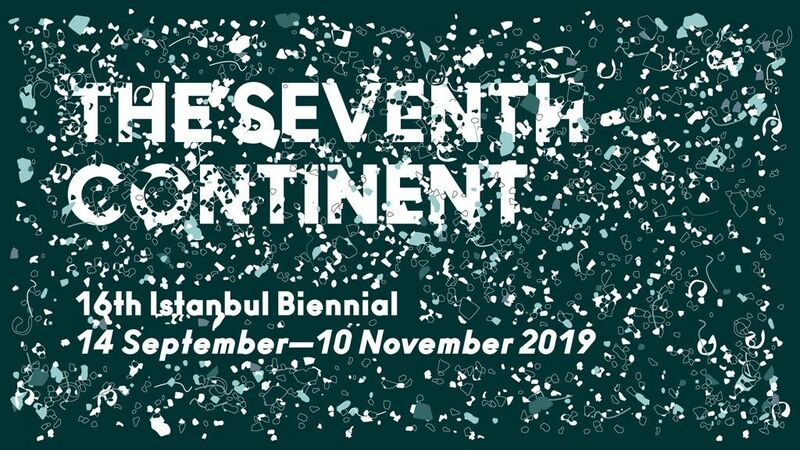 The 2019 Istanbul Biennial will be curated by the French art historian, curator, and scholar, Nicolas Bourriaud, and is entitled The Seventh Continent. One of the most visible effects of this new geological era, characterized by the impact of human activities on the planet is the so-called Seventh Continent. A third of the size of the United States but completely uninhabited, it was discovered in the North Pacific in 1997 by the American oceanographer Charles Moore, a vortex in the sea covering an area of 3.4 million square kilometers contaminated by 7 tons of floating plastic waste. The Istanbul Foundation for Culture and Arts (İKSV) has organized the Istanbul Biennial since 1987. The biennial aims to create a meeting point in Istanbul, in the field of visual arts between artists from diverse cultures and the audience. The Istanbul Biennial is one of the most established and respected biennials in the world. Each year a guest curator is appointed by an international advisory board to develop the conceptual framework and select the artists and projects that are invited to participate. Nicolas Bourriaud, born in 1965, is a curator and writer. He is the director of Montpellier Contemporain (MoCo), an institution he created, gathering the La Panacée art center, the École Supérieure des Beaux-Arts and the future MoCo Museum, which will be opened in June 2019. He was the director of the École nationale supérieure des Beaux-Arts de Paris from 2011 to 2015. From 2010 to 2011, he headed the studies department at the Ministry of Culture in France. He was Gulbenkian Curator for Contemporary Art at Tate Britain in London from 2007 to 2010 and founder advisor for the Victor Pinchuk Foundation in Kiev. He also founded and co-directed the Palais de Tokyo, Paris, between 1999 and 2006.